Daniel was a bright young Judean noble who lived around 600 B.C. Judea was the southern kingdom of Israel. The northern kingdom fell about a century before Daniel lived because it was very wicked. The southern kingdom was guilty of their own share of sin too. For centuries, God had warned them through prophets that they were not living the way God told them to live in the Old Testament law. They, lied, cheated, were sexually immoral, and they worshipped idols. God warned them again and again to stop these things and follow God's laws for holy living, but they did not. Finally, time to repent ran out and they had to face the consequences of their continued and grievous sin and rebellion against God. The army of the great Babylonian empire, which was the most powerful in all the world at the time, came sweeping in to conquer Judea. The Babylonians captured and destroyed the Judeans' capital, Jerusalem, and burned the Jewish temple to the ground. All the people who were not killed or executed in the battle were taken away into exile in Babylon. They were forced to change their names, speak a different language, and follow foreign customs. The best and brightest among the Judeans, like a young man named Daniel, were forced to serve the Babylonian king, Nebuchadnezzar. However, God did not forget His people. It grieved Him to see the Jews suffering--even though it was their own sin that caused it--and God continued to be with His people and help them through their troubles. If you ever feel like your community doesn't reflect your values, your hopes and dreams, the story of Daniel is perfect for you. If you are a conservative who mourns how society's values are slipping away until they no longer reflect your values, Daniel is for you. If you are a progressive who feels society has not yet grown and changed and matured into the values you hold dear, the story of Daniel is for you. Daniel is the story of a people forced to live as aliens among a foreign people, who had to learn to navigate the tricky world of getting along with a people who were not like them without compromising their own core beliefs. I think Daniel is such a relevant story for 21st century America. It is important to say at this point (and for us always to remember) the suffering Daniel and his countrymen experience was not because of God; it was because of sin. God did not cause them to suffer; they suffered because they behaved badly. The same is true when we suffer. God doesn't cause our pain; we suffer because of sin. Sometimes we suffer because of our own sin. Maybe we made a mistake or deliberately did something we knew we shouldn't and as a result, we experience the bad results of our bad choices. We all can probably think of times in our life when this was the case. As an example: maybe we were driving too fast, not paying careful attention, and we had an accident. Then our car was totaled and we were injured. Our actions led directly to our suffering. However, our personal suffering is not always caused by our own bad behavior. We might not have done anything wrong at all, yet we still suffer. To take the example I just mentioned: maybe we were driving safely; maybe we were paying close attention, but someone else wasn't and they ran into us. It was not our sin, but theirs that totaled our car and injured us. Sometimes the suffering we face in this life is because of other peoples' sin, but it is always because of sin and not God. The sins of humanity have led to a broken world. Even nature is not as it should be. Yes it is beautiful and good in many ways, but it is also corrupted and full of suffering and death. The darkness we see is the result of the accumulated sin of all humanity--mine, yours, everyones. However, it is not because of God. 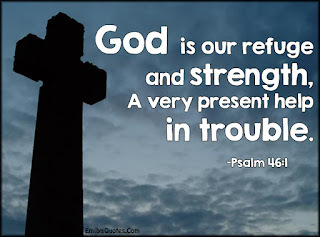 This is an important concept to know, because it means we can turn to God for help. God does not want us to suffer. God didn't cause the suffering. He warns us and pleads with us to behave right so we won't suffer. And He watches sadly when we ignore Him and thus feel the painful consequences of our misbehavior. And He is always willing to help when we repent and turn to Him for help. Psalm 46:1 says, "God is our refuge and strength, always ready to help in times of trouble." Let me share a wonderful and intriguing story of a time God helped Daniel and his friends while they were in captivity in Babylon. 14 When Arioch, the commander of the king’s guard, came to kill them, Daniel handled the situation with wisdom and discretion. 15 He asked Arioch, “Why has the king issued such a harsh decree?” So Arioch told him all that had happened. 16 Daniel went at once to see the king and requested more time to tell the king what the dream meant. 17 Then Daniel went home and told his friends Hananiah, Mishael, and Azariah what had happened. 18 He urged them to ask the God of heaven to show them his mercy by telling them the secret, so they would not be executed along with the other wise men of Babylon. 19 That night the secret was revealed to Daniel in a vision. Then Daniel praised the God of heaven. Actually, yes He does. That is the beauty and wonder of the Good News of God's story in the Bible. God knew we desperately needed His help. And so He came and lived among us as a human being in the man, Jesus. He was born of a virgin named Mary. He lived as one of us. He experienced all that we experience. He suffered torture at the hands of the Roman governor, Pontius Pilate. Jesus was crucified on a cross and died and was buried. On the third day after his death, he rose from the dead. He ascended to heaven and now his Holy Spirit lives inside any person who puts their whole trust in Jesus Christ. So yes, God does live among the people. 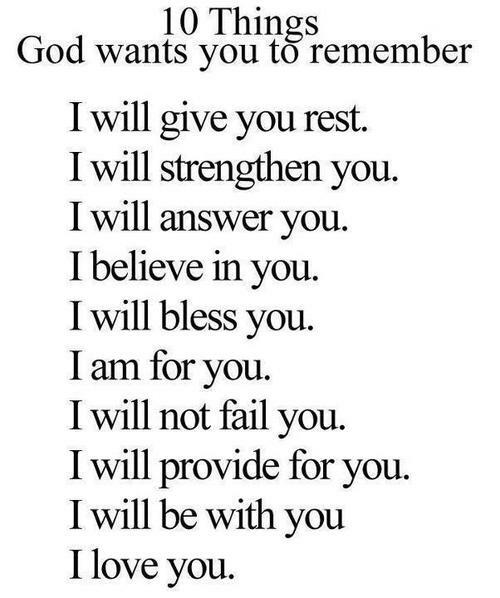 He hasn't forgotten us and He can and will help us if we ask Him. That was good news for Daniel, because he was one Nebuchadnezzar's royal advisors. He was to be killed with all the rest if he couldn't tell the king what he dreamed and what it meant. So Daniel also needed help. Fortunately, Daniel knew the One True and Living God, the God of the Holy Bible, the God who created the whole universe, who controls world events, who sets up kingdoms and also tears them down, who gives wisdom to those who ask, and reveals hidden secrets like dreams and their meanings. So Daniel asked God for help. Kings and kingdoms come in all forms. At the moment, they seem all powerful and everlasting, but they come and go. Only God and His Kingdom last forever. Our problems can also seem immense and overwhelming and unstoppable, but they come and they go. God is bigger than any problem you are facing or ever will face. And God was bigger than even the life threatening problem Daniel and his friends faced at the hands of King Nebuchadnezzar. When you have a problem, pray and ask God for help. 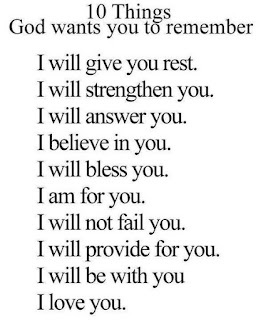 He can and will help you. The full story of how God revealed Nebuchadnezzar's dream and it's meaning through Daniel is found in Daniel 2:29-46. I'll summarize it. King Neb dreamed about a giant statue made of many different types of material. The statue and each section represented the empires that would rule the world in the future. The statue had a golden head that represented Nebuchadnezzar’s Babylonian empire. It seemed inconceivable that his empire would ever end, but it would end and be replaced by another, the Persian Empire represented by the statue's silver breast and arms. Then would come the Greek Empire, represented by the statue's brass belly and thighs. Next would be the Roman Empire, represented by the statue's iron legs. These great kingdoms would be succeeded by divided kingdoms, represented by the feet of the statue made from a weak mixture of clay and iron. All of these kingdom were thought to be so great and powerful. The people who lived in them never imagined they would not last forever, yet today, we can barely remember their names or where they were or who ruled them. They came and went and were mostly forgotten, accept in dusty history books that few people read. There was one more part of the dream and it's the important part that we need to know and remember most. In the dream, there was a Rock (and not Dwayne Johnson). This Rock represented Jesus Christ and the Kingdom of God. Daniel 2:34-35 says: "34 As you watched, a rock was cut from a mountain, but not by human hands. It struck the feet of iron and clay, smashing them to bits. 35 The whole statue was crushed into small pieces of iron, clay, bronze, silver, and gold. Then the wind blew them away without a trace, like chaff on a threshing floor. But the rock that knocked the statue down became a great mountain that covered the whole earth." The Rock was not made by human hands. The Rock is Jesus and his Church (The Kingdom of God). Remember, Jesus was not made by human hands. He was born of the Virgin Mary and conceived through the Holy Spirit of God. He is the Son of God. You see: not made by human hands. And Jesus alluded to this himself when he told the parable of the wise man who built his house upon the rock (Luke 6:48). If you build your life upon Jesus (The Rock), when the storms come, you will stand firm. But if you build your house upon sand--the things in this world that seem so big and important but which really aren't in the eternal scheme of things--then you will be washed away when the storms of life rage. And have you heard what Jesus said to his disciple Simon (Matthew 16:18)? Jesus asked his disciples who they thought he was and Simon answered Jesus was the Son of the living God. Jesus replied, “Simon, from now on I will call your “Peter" (which means rock) and on this kind of faith I will build my Church and not even the gates of Hell will be able to stand against it!” The Church, the Kingdom of God, is built on the rock of faith in Jesus. And it has been growing ever since, becoming a mountain; today more people adhere to Christianity than any other world religion. And the concepts of love and forgiveness and grace have already become infused into so much of what people believe today (even those who do not claim to be Christians). The Bible also says Jesus is the cornerstone of a new Temple, a new and different kind of Kingdom (Matthew 21:42). The religious leaders and political leaders of his day rejected Jesus, but he became a stumbling block that tripped them up and brought their kingdoms down and crushed them to oblivion—not by the might of any kingdom’s army, but by the love and grace and forgiveness of Almighty God. And in King Nebuchadnezzar's dream, the Rock smashes into the feet of the statue and it all comes crumbling down and is crushed to dust that the wind blows away. Can you here the band Kansas singing the old song, "Dust in the wind! All we are is dust in the wind!" And the interpretation of the rock in Nebuchadnezzar's dream is this: All the great empires of this world eventually fall and are blown away like dust in the wind, but God's Kingdom, founded on faith in Jesus Christ (The Rock) and not made by human hands, is eternal. God wants to help you with your problems, but he wants to do more than give you a temporary fix. The various problems of this life--both big and small--will come and go. Jesus came to help us fix the core problem that's at the root of it all--sin. Sin is doing things our way instead of God's way. It is rebelling against the One who made us and gave us life and purpose. Sin is the ultimate idolatry--always looking to things or people or kingdoms or even ourselves to provide what only God can provide. Sin always disappoints and leads to trouble. Remember, the suffering we face in this life is not because of God; it is caused by sin--whether it is our own personal sin or the sins of others. Jesus came to conquer sin and offer grace and forgiveness. Jesus came to enable us to turn away from sin and come back to God--the source of abundant, hope-filled, satisfying, joyful, eternal life. "God of Heaven, thank you for sending Jesus to pay the price for my sin. Please forgive my sin and save me. Help me to follow Jesus as my Lord from now on. Help me to obey You and so avoid as much as possible the troubles caused by the sin in this world until the day I come Home to be with you in Heaven where there is no more sin or suffering or death. Amen." If this is your earnest desire and prayer, God will save you through Jesus Christ. He will forgive your sin. You will begin to experience a release from much of the suffering caused by sin in this life. And you will have eternal life with God in the next life where there will be no more sin and the suffering sin brings. You are a Christian--one who follows Christ as Lord and Savior. You may still face troubles in this world (because this world is not your true home), but do not fear because Jesus has already over come this world. The problems and kingdoms of this world will soon fade away like dust in the wind. However, the Rock of Jesus and his Kingdom will stand forever. Rejoice that you are now part of His eternal Kingdom!